My friend is graduating from law school next week, and she’s been meaning to come here for a while. We made the reservation and were on our way! I first sampled Michael Cimarusti’s cooking when he was at Water Grill. 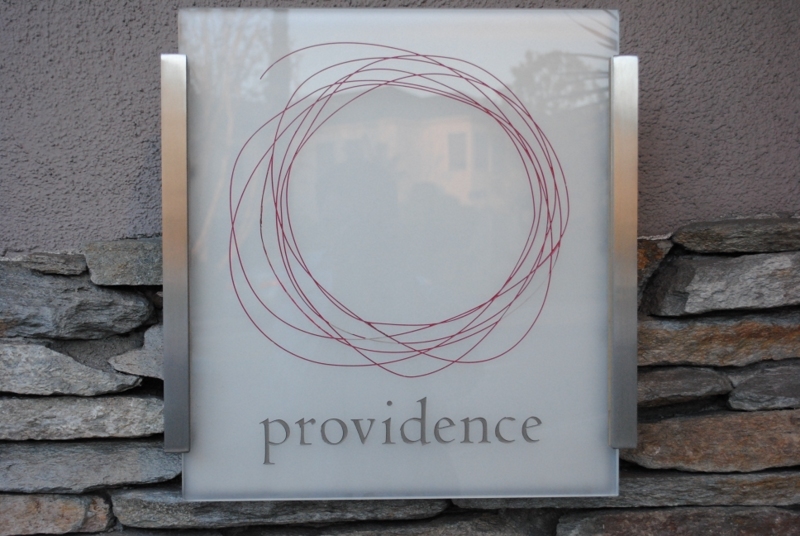 Soon after, he would set out on his own, opening up Providence in 2005. It became a hit instantly, garnering numerous accolades – currently, it’s one of four restaurants in LA with two Michelin stars (none have three). 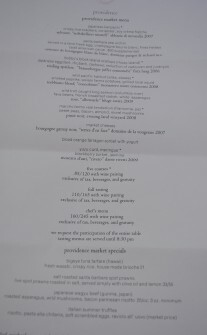 I’ve considered Providence the second-best restaurant in LA (behind Urasawa) and hadn’t been in a number of months – another visit was in order. 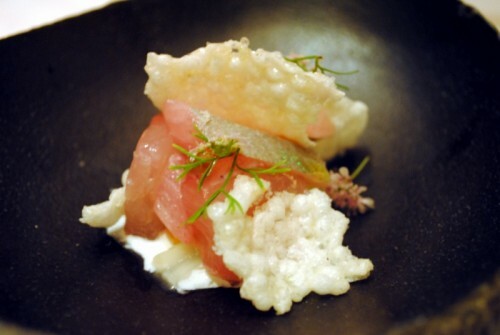 The first thing to come out was the amuse bouche trio of a gin & tonic, margarita, and a dish made of trout, spiced cream and puffed rice. 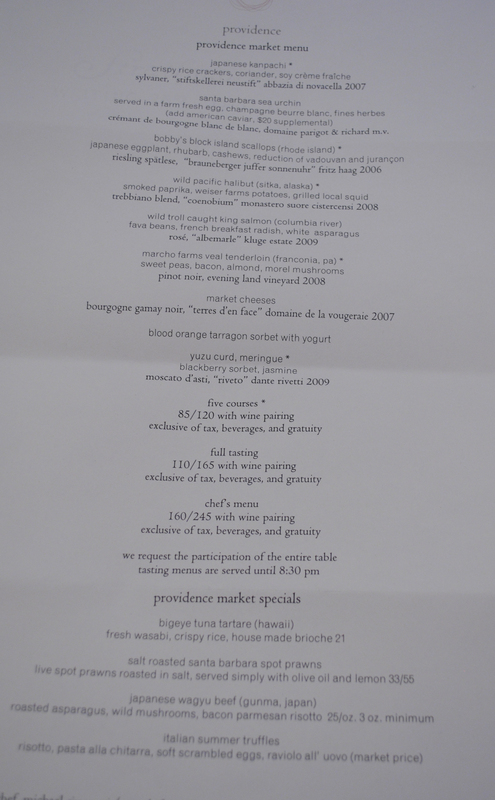 This two “cocktails” are the same amuses that Providence has had for a little while now, and I like them. They’ll definitely remind people of the Bazaar, for it’s molecular gastronomy-like preparation. 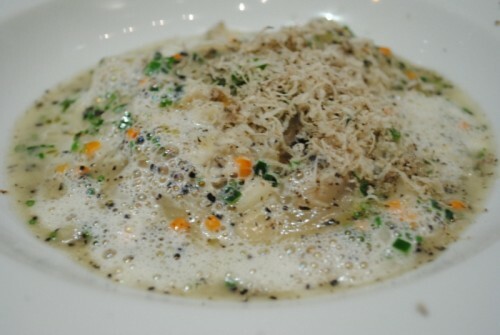 Providence is primarily known for seafood – and this was the first dish that really presented some fresh, flavorful seafood. The kanpachi was good, thought not a really soft, tender piece of fish. The crispy rice crackers lended some texture, but may not really have been necessary. What a delicious scallop this was! Nicely browned with a perfectly cooked interior. The sauce was a curry-type sauce, and had a really nice depth of flavor. 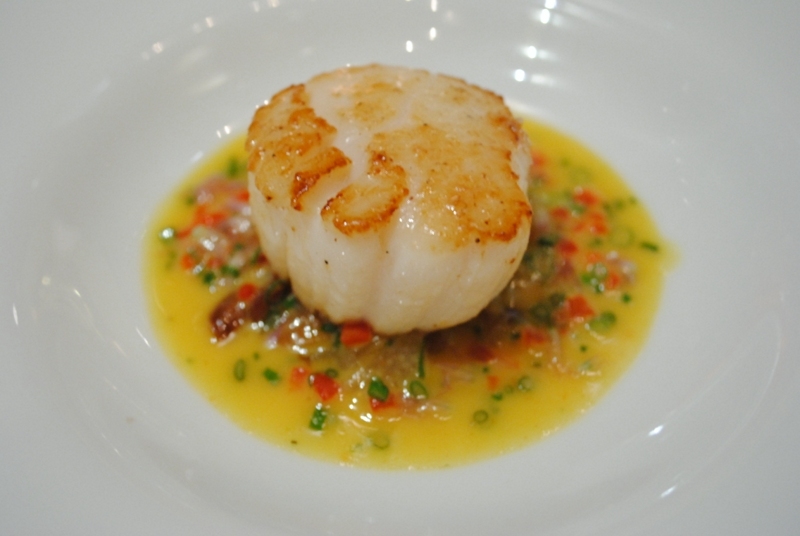 Surprisingly, it did not overpower the scallop, but rather complemented it quite well. 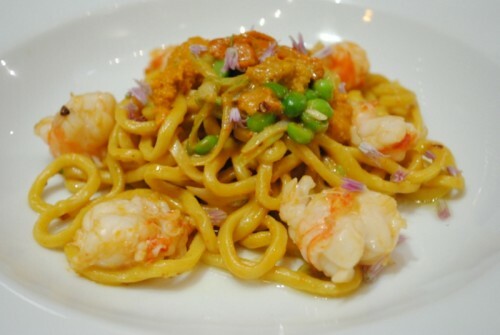 Beautiful dish again here – I love pasta and seafood together, and this was no exception. the prawns were very sweet and perfectly cooked, and the spaghetti was al dente. The fish here was cooked well, again. 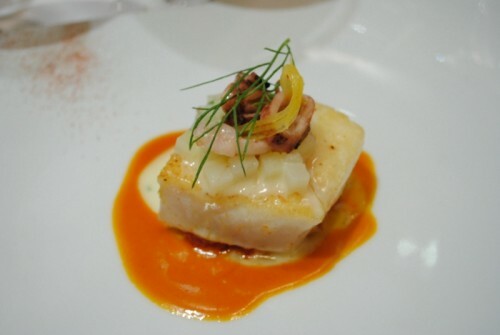 The halibut was moist and flavorful, and the squid provided some chew, but wasn’t overly chewy. 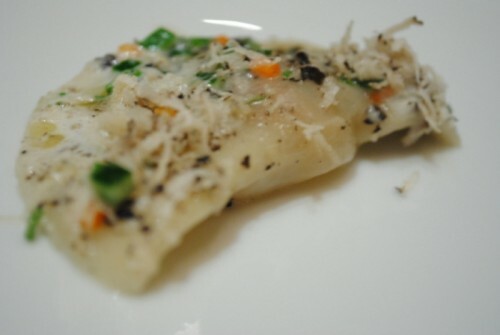 The ravioli was brought out, and black truffles were shaved on it at the table. The ravioli was good too, with a great chew to it. Flavors were great, between the rich foie gras and the earthy truffles and parmesan. The veal here, cooked sous vide, was extremely tender. A butter knife could’ve easily sliced through it. 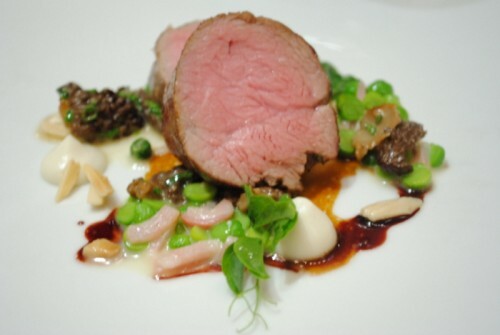 The almonds and morels were good with it too, but the bacon was missing. 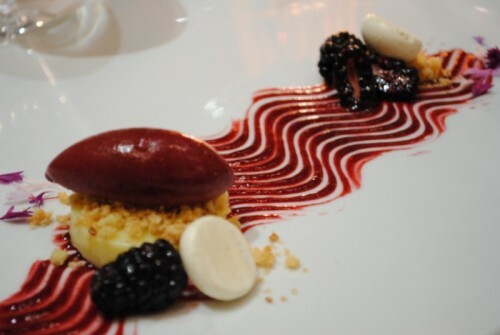 This dessert was okay. 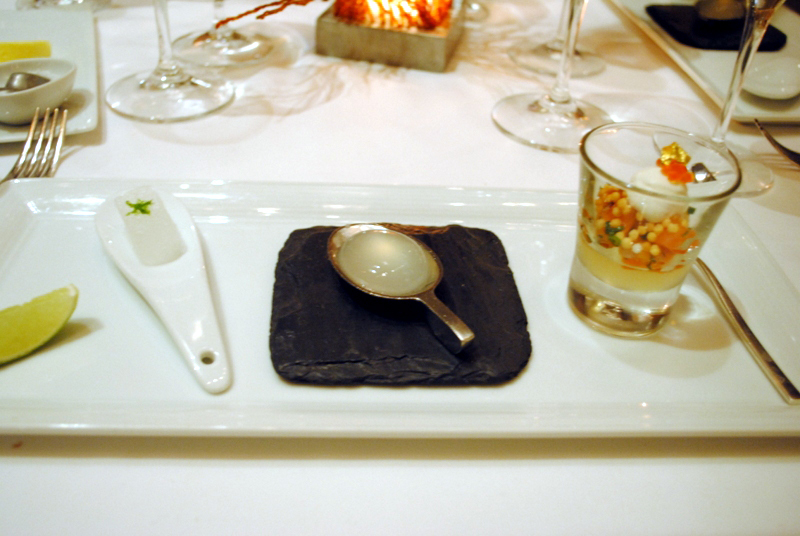 The yuzu curd was, thankfully, not too sour. However, nothing really shined on this plate. 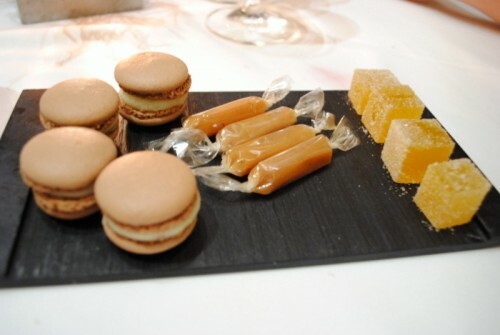 To finish, we got a plate of mignardises of vanilla macarons, caramels and passion fruit gelee. These were all pretty good, with the macaron being my favorite. In all, we had a very solid meal, definitely solidifying its status in my top 2 restaurants in LA. The seafood was all cooked very well on this day, and the flavors and execution were definitely there. I look forward to my next time at Providence.